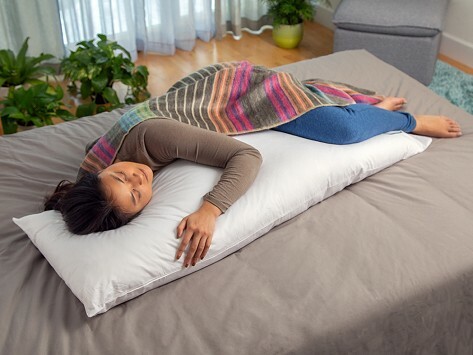 Curl around a body pillow made to keep its shape and keep you feeling comfy. Hypoallergenic micro-gel fiber filling provides medium firmness and helps it maintain consistent density throughout and works to help you feel cool. Zip-up pillow case is included. Pillow is Made in the USA. Dimensions: 20" x 16.5" x 8.3"